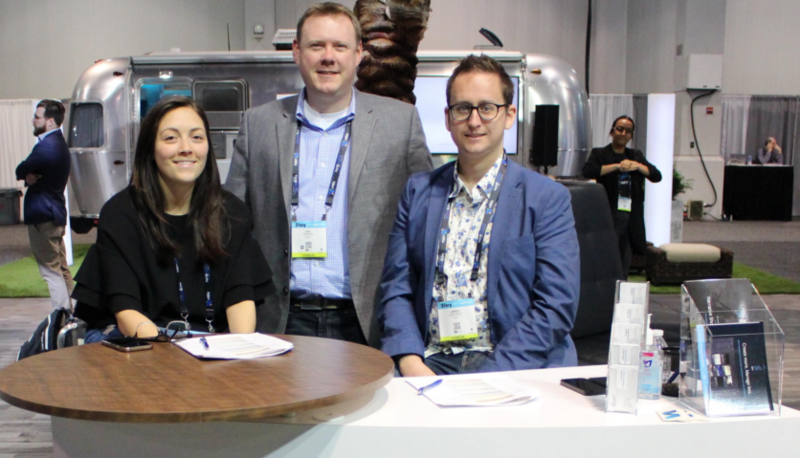 LAS VEGAS — Prime Focus Technologies (PFT) used the NAB Show to debut a suite of AI-led micro services, all custom-made for media and entertainment enterprises. Vision Cloud, a suite of micro-services tailored for M&E, is built on top of models available from Microsoft, IBM Watson, Google Vision and more, along with custom models developed by Prime Focus itself. The services include automatic content segmentation, thumbnail generation, scene description, and play-listing. PFT also demonstrated a sports model for automatic metadata extraction, via multi-pass inferencing technology for action tracking. While built for cricket, the capability can be extended for other sports, helping to facilitate automatic, In-app event notifications, configurable highlights and auto analytics. 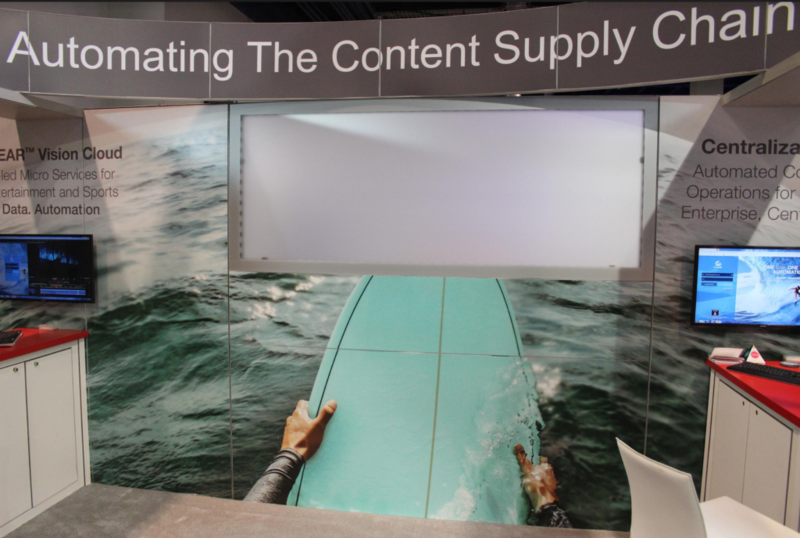 Storage solutions firm Western Digital used the waning days of NAB to unveil a new surveillance-class storage solution, microSD card with high capacity, and capability for continuous high bit rate recording. The Western Digital WD Purple SC QD312 Extreme Endurance microSD card is geared toward designers and manufacturers of AI-enabled security cameras, smart video surveillance and advanced edge devices that are used to capture and store video at higher bit rates. With the migration to 4K and higher video resolutions, cameras need to be able to store both video and raw data to facilitate AI capabilities, which is why Western Digital debuted to WD Purple SC QD312 Extreme Endurance microSD card. The process of migrating three million existing Wiredrive users to the new SHIFT platform is well underway, according to SHIFT CEO Kai Pradel, and “the feedback has been great,” he said. He touted how the company — which is a combination of MediaSilo and Wiredrive, and the umbrella brand for MediaSilo, Wiredrive, SafeStream and Screeners.com products — is seeing uptake of its desktop application, which is allowing for accelerated uploads, and easier log-in capabilities. “Our tools for better metadata extraction and cloud-based AI services to search for files are seeing a lot of usage,” he said. 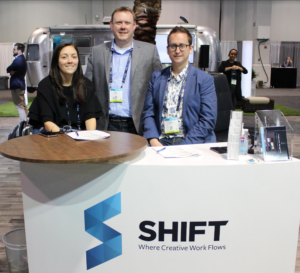 SHIFT was also the lead presenter of the April 7 Cybersecurity & Content Protection Summit during NAB, with Alex Nauda, CTO for SHIFT and Screeners.com, sharing how certain threats to pre-release content are often overlooked.